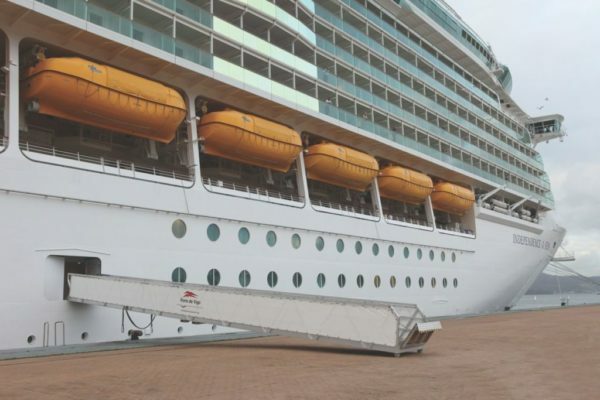 At AISTER, we know that accommodation ladders and gangways for embarkation are key to the operation of any vessel, from luxury cruise liners, seismic and research vessels through to cargo vessels, container vessels and mega yachts, which is why we aim to offer the fastest possible response to customer orders. 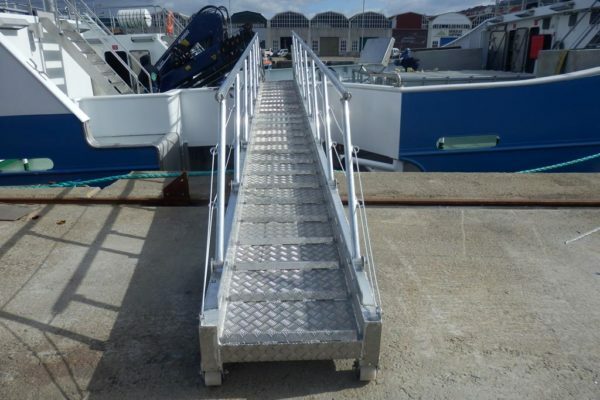 We manufacture aluminium accommodation ladders and gangways, taking full advantage of this lightweight, manageable and strong material. 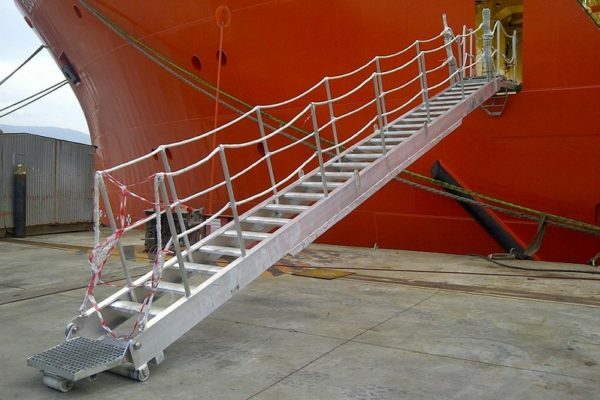 Safety: both accommodation ladders and gangways for embarkation are designed to meet the required IMO standard (ISO 5488:2015, MSC.1/ Circ. 1331 and EN 14206) and comply with all quality and safety requirements. Attention to detail is crucial in ensuring the crew can embark and disembark safely and quickly, avoiding accidents through the use of safety elements, such as protective netting for falls, textured steps and footholds in gangplanks. Lightweight: Aluminium is lighter than steel, allowing construction to the same level of structural strength but with a 30% reduction in weight. Custom-designed: At AISTER, we have our own designs that meet quality standards. However, we can also adapt to meet our customers’ needs and our technical office is on-hand to produce custom designs that meet the requirements of any classification society. 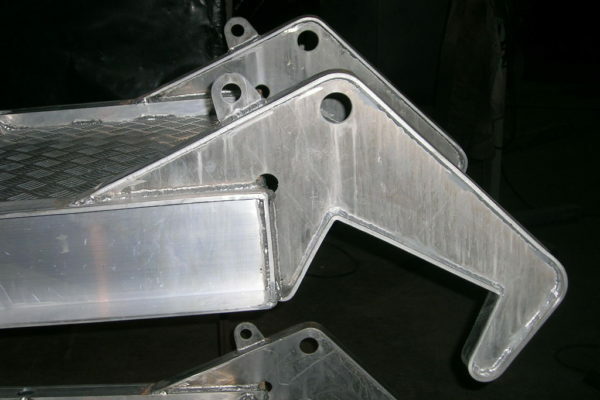 Our designs can also include other components, such as access ladders and davits. The marine environment is highly corrosive and places significant demands on any the materials that come into contact with it. 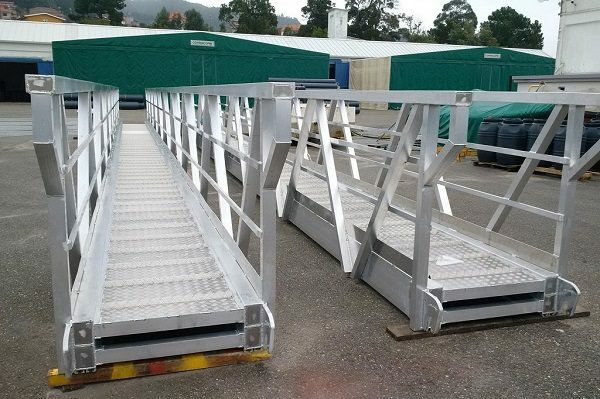 All the materials used for the construction of our accommodation ladders and gangways are of the highest quality and are carefully chosen in line with their intended use. Since its foundation, quality has always been a core value of our company and is applied to all areas, in order to manufacture products using the latest technology and advances on the market. AISTER has a workforce of around 100 workers, as well as 25,000 square metres of facilities and our own multidisciplinary technical office, designed to respond immediately to any technical and operational queries. 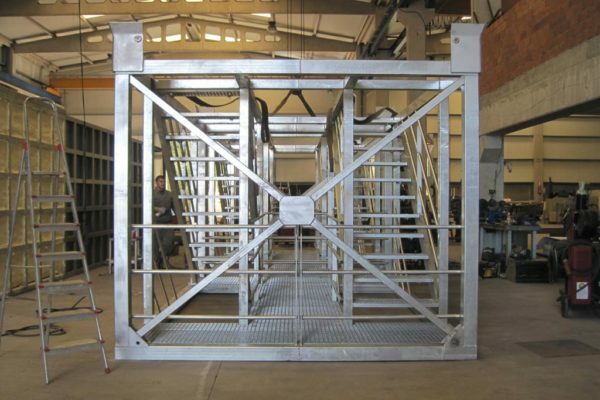 You can count on our highly qualified staff with proven experience in the sector to manage the full project life cycle, from the planning, drawings, initial designs and structural calculations, through to manufacture of the aluminium accommodation ladder. All our workshop staff are certified by Bureau Veritas and subject to strict periodic monitoring by our quality department. This makes our products highly competitive on the national and international market, with exports to over 30 countries.